Exhibit space is available to SSIA supplier members only. If you are not a supplier member of SSIA, click here to apply. Show Special: Reserve space before May 1, 2019 and save $50 per table. Click here to reserve your exhibit space online using our secure ordering system. Click here to download a PDF form to complete and return by fax or mail. SSIA reserves the rights to change or reschedule events without notice at the discretion of the SSIA board of directors. Only SSIA supplier members that have purchased a booth will be permitted in the exhibition hall and may participate in SSIA activities. 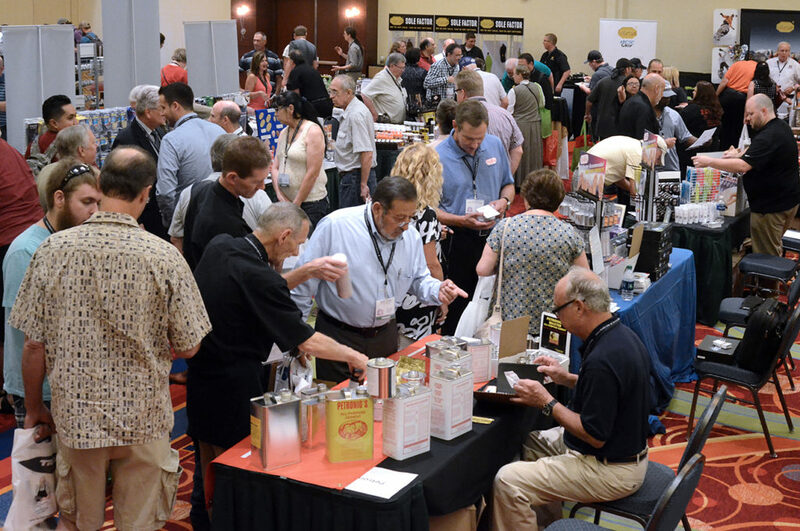 Supplier members that have not purchased a booth are welcome in the annual business meeting. Exhibit personnel is limited to SSIA supplier members only. Exhibit space cannot be sublet to non-member companies, however a supplier exhibiting a product they sell but do not manufacture may have a representative of the manufacturing company in its exhibit. Exhibitors must be in good financial standing with SSIA before reserving exhibit space. Shoe repairers who are paid representatives of the exhibiting company may staff the exhibit. Shoe service wholesalers, orthopedic distributors, or their employees are not permitted to work a booth at a SSIA sponsored event. Representatives of non-member companies are also not permitted to work a booth. Please send shipments and deliveries no more than three days before the start of the meeting. All shipments and deliveries arriving earlier may be rejected or subject to storage fees listed here. Please bring a list with all of your shipment’s tracking numbers and the name of the individual to whom the package is addressed, so that any missing parcels can be located. The hotel does have package handling charges for each parcel or pallet received. All outgoing shipments must be properly labeled with a return address, a delivery address and a contact phone number for the sender. An account number for the delivery service of choice or the sender’s credit card number and expiration date must be included to ensure proper charges by the shipping company. UPS makes regular stops at the hotel. If you are using another courier, you must call for a pick-up. The SSIA assumes no responsibility for the cost, storage, loss, damage or negligence of any packages or pallets shipped to or from this event.